Are you having problems communicating? Maybe you're arguing a lot, having fights that go nowhere. Even if you make up, each fight pushes you further and further apart. Or maybe you avoid each other altogether, afraid of provoking a fight. It seems no matter how hard you try, things stay stuck. Are you not as close as you used to be? Perhaps there's been an affair? Or you've been betrayed somehow. You feel hurt and angry. The trust is gone, and you don't know how to get it back. It feels hopeless. You may even feel your relationship has reached a point where you're considering separation or divorce. Often, partners lack the skills to resolve problems and create intimacy. We've found that many couples never learned how to communicate effectively, manage anger, resolve conflicts productively, or to listen empathically. Most people are at a loss to recognize the role they play when a relationship is facing difficulties. The good news? These skills can be taught to motivated couples. If you both want it to work, it's never too late to save a relationship. From counseling hundreds of couples over 30 years, we're optimistic because we've helped many couples work through their problems and create a loving relationship. Rekindling the love in your relationship is possible when you are open to change. Even after all that's happened, you can you heal the hurt and restore your love for each other. According to research The Journal of Marital and Family Therapy, of the 500 couples surveyed, 93% claimed that counseling helped them deal more effectively with their relationship problems. We specialize in working with couples. When choosing a couples counselor, you want someone who has been trained to work with couples and keeps up with the latest research. We have extensive knowledge as relationship experts as well as experience as a couple (31 years married) to help you restore your love. 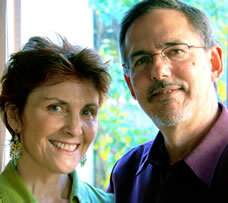 For over 30 years, we have helped hundreds of couples create healthy and fulfilling relationships. An experienced therapist makes all the difference. Take the first step and consider our no obligation phone consultation. You don't have to do this alone. We're ready to help you. We'd be happy to talk with you about your unique situation. We have two convenient locations to serve you. 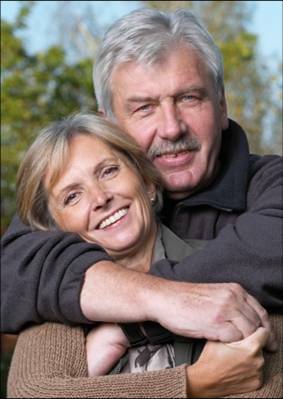 Creating Loving Relationships (also know as the Marriage Center for Counseling and Education) serves the online community as well the communities in Sonoma County, California including: Santa Rosa, Petaluma, Cotati, Rohnert Park, Sebastopol, Sonoma, Windsor, Healdsburg, Cloverdale, Kenwood, Glen Ellen, Calistoga, Bodega, Guerneville, Forestville, Napa and Novato. We provide marriage counseling, relationship therapy, couples counseling, premarital counseling, individual counseling and psychotherapy, help with divorce, relationship advice as well as help with love and communication.